Park Place Residences at PLQ is the residential condominium of Paya Lebar Quarter, a landmark mixed development located right in the heart of Singapore’s newest lifestyle neighbourhood. 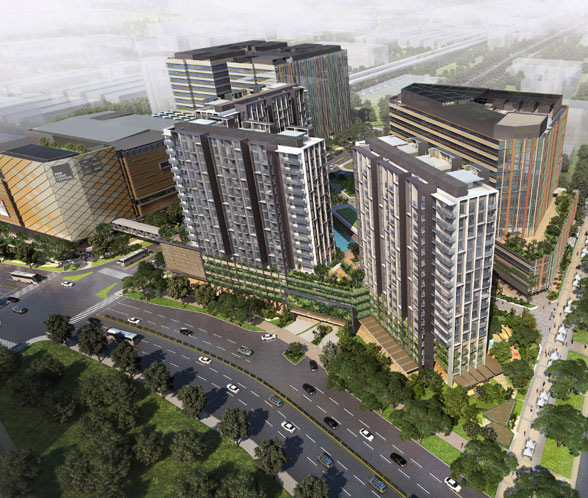 It is part of URA’s urban regeneration masterplan that will turn Paya Lebar into a new hip and cool happening place, fusing city style living with its own distinct east side ambience. Paya Lebar Quarter (and Park Place Residences) occupies an enviable location next to the Paya Lebar MRT station that joins 2 MRT Lines: the East-West & Circle Lines. It is being developed, constructed, and managed by Lendlease (Australia). Do contact us to be kept posted on Park Place Residences at PLQ if you wish to know more about investing, or living here. Total site area of 3.9 hectares. Total gross floor area of about 1.8 million square feet. Development value of approximately $3.2 billion. Construction started in January 2016, and is expected to complete end 2018 or early 2019. Total of 7 buildings, including 3 residential blocks. 3 Grade A office towers covering nearly 1 million square feet of best-in-class offices. Towers 1 and 2 will have 14 storeys each while Tower 3 will have 13 storeys. Complemented by a prime standalone 7-storey mall with over 340,000 square feet of dining, shopping, lifestyle, cinema and entertainment space. Park Places Residences at PLQ itself, comprising 3 residential towers of 429 homes, in a spacious, lushly landscaped setting. It is undoubtedly in a very good location. Paya Lebar is on the fringe of the city, about 10 minutes drive to the CBD (Central Business District) and the Marina Bay Financial District. About 15 minutes drive to Changi International Airport. 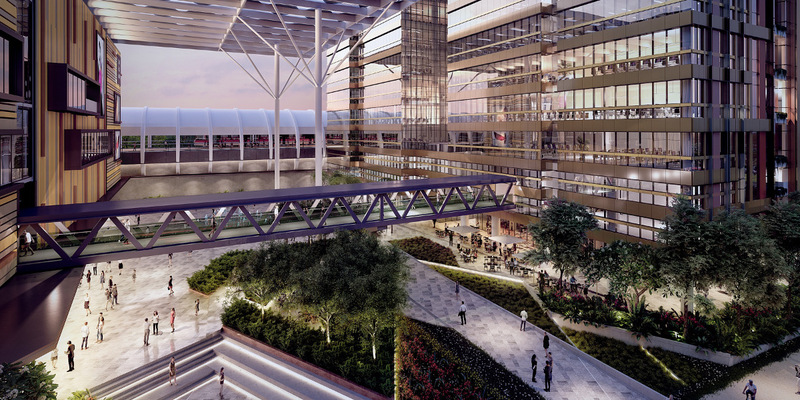 One big advantage is that it will have direct access, at basement & ground levels, to Paya Lebar Interchange MRT station that joins the Circle and East West MRT Lines, offering direct connections to over 60 MRT stops. As Park Place Residences is part of a huge mixed development, with high end offices and retail mall literally next door, it offers superb convenience on a daily basis. A prime example of maximising productivity and efficiency in a work, live & play environment, with F&B, shopping, supermarkets, banks & entertainment at the doorstep. This district has always been one of the most popular with investors and home-owners, given its convenience & proximity to town. The other recent launches in the Paya Lebar area are practically sold out: both Bartley Residences and Bartley Ridge are 100% sold; Botanique @ Bartley is over 98% sold. The new Park Place condominium is well-timed to meet fresh demand that has arisen since those launches. In addition, Park Place Residences has the distinct advantage of having its own tenant pool from the 3 Grade A office towers within the precinct. Investors who get a unit here won’t be short of good tenants. Especially since there are only 429 units for sale here (many of which are also being eyed by owner occupiers drawn to the convenience). The Paya Lebar area has historicity: it is close to the culturally rich communities of Katong and Joo Chiat. And perhaps closer to the hearts of Singaporeans, it is surrounded by the food havens that abound in these districts! The Paya Lebar Quarter site also enjoys connectivity to highways like the KPE, PIE, ECP, and Nicoll Highway. 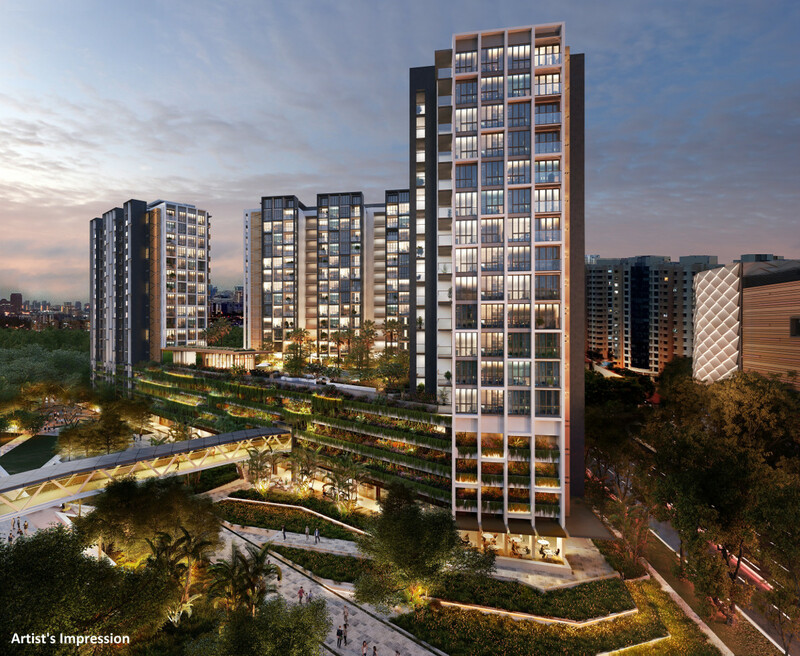 Paya Lebar Quarter & Park Place Residences are being developed by Lendlease, a leading international property & infrastructure group with operations in Australia, Europe, Asia & the Americas, focusing on urban regeneration projects that transform spaces and cities. Please register here if you would like to be kept updated on Park Place Residences at PLQ. This entry was posted in Park Place Residences on September 1, 2016 by Reviewer. 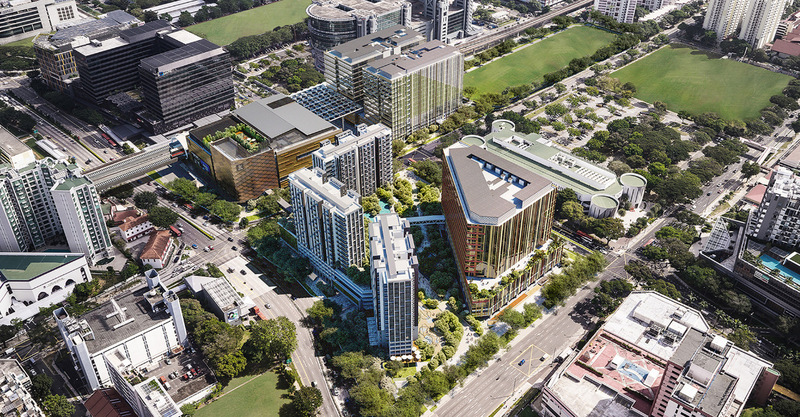 Developer Lendlease has just disclosed new details about Paya Lebar Quarter, the mega mixed development that is set to catalyse the Paya Lebar area’s rejuvenation. 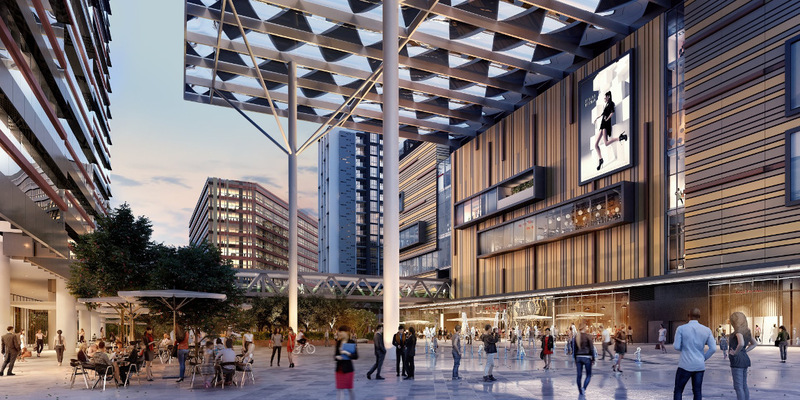 This urban-regeneration project, to be connected directly to the Paya Lebar MRT Interchange station, will also transform the area into a “vibrant, pedestrian-friendly city precinct”. 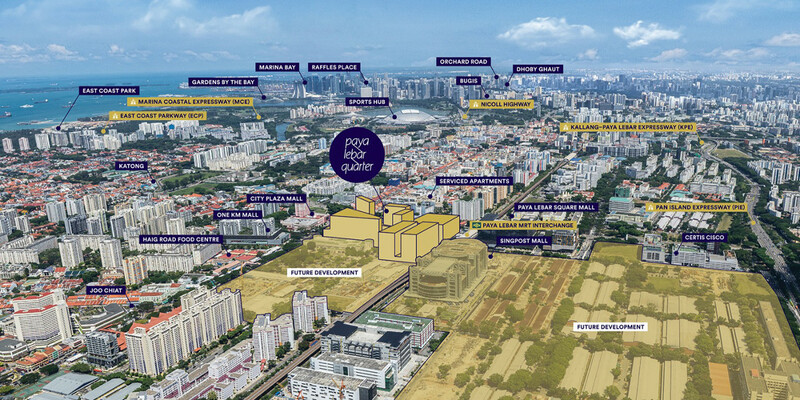 Paya Lebar Quarter is being developed across 2 plots spanning 3.9 hectare. Expected total cost: $3.2 billion. One plot will accommodate 2 office towers and a retail mall, while the other will house the 3rd office tower and 3 condominium blocks. Total gross floor area (GFA) of about 1.8 million sq ft. The office space will account for about 1 million sq ft of that, or 55 per cent of the total area. The mall will feature about 200 stores and cinemas across 7 floors, covering a total of 340,000 sq ft of retail space. About 30% of that will be Food & Beverage outlets. 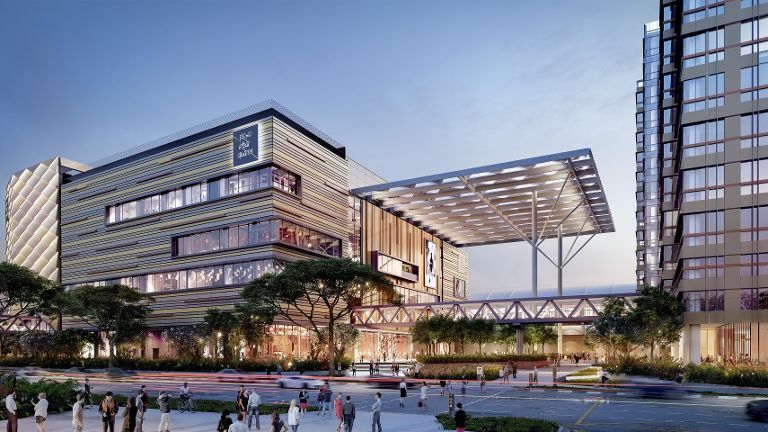 Lendlease has already snagged its first two retail anchor tenants: NTUC Fairprice Finest supermarket will take up 22,000 sq ft, and foodcourt Kopitiam will lease 15,000 sq ft. The retail and office components are expected to complete in the 2nd half of 2018. Both will only be leased out, and will not be sold to individual investors. This is crucial as it will ensure quality tenants, and a good tenant mix (especially for the retail element). It will also ensure that the project will continue to be well kept and maintained over the years. Please register here if you would like to be kept updated on Park Place Residences. This entry was posted in Park Place Residences on August 28, 2016 by Reviewer. Park Place Residences at PLQ, the Paya Lebar Quarter condo, has the distinction of being linked to the first WELL Building certified development in Singapore. 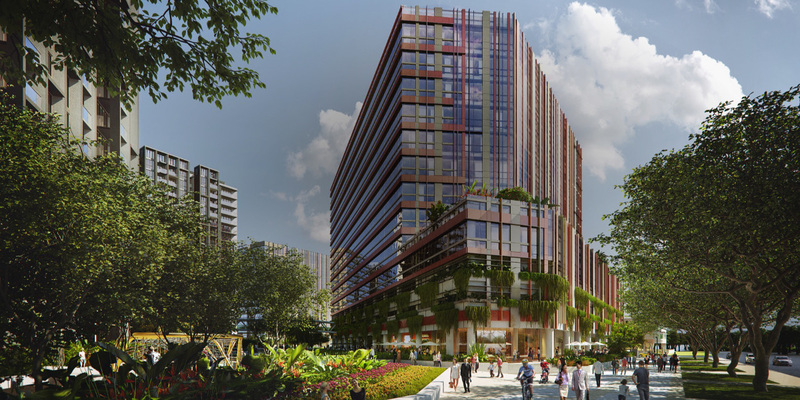 That is because Paya Lebar Quarter, by Lendlease, has registered for the International WELL Building Institute’s (IWBI) WELL Core and Shell Certification, for its almost one million square feet of Grade-A office space across its three office towers. The programme uses a performance and evidence-based system that is grounded on scientific and medical research. It provides tenants and investors with measurable benefits to address well-being and health concerns for work spaces. Administered by a public benefit corporation, IWBI, the WELL Building Standard (WELL) is the world’s first building standard that focuses exclusively on increasing the productivity and well-being of its occupants. 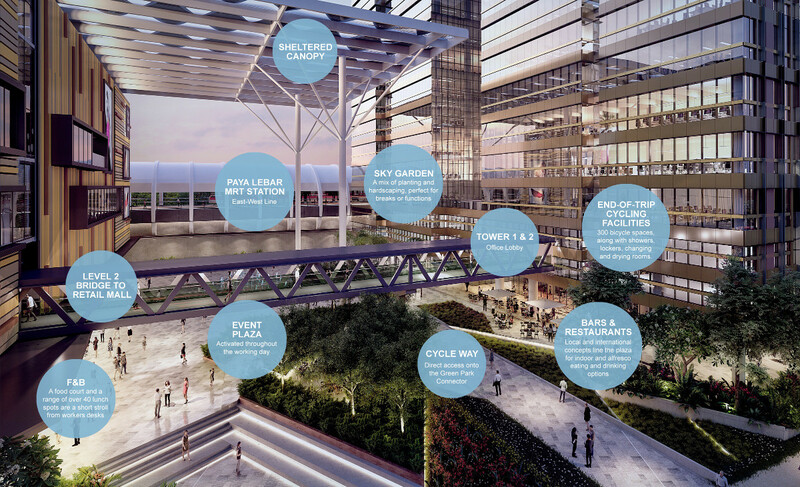 Aspects of Paya Lebar Quarter that align with the WELL Building Standard include the estimated 100,000 sq ft of public green spaces that are linked to the Park Connector Network, as well as end-of-trip facilities for the occupants, such as lockers, showers, and bicycle lots that support an active lifestyle. The office buildings will also incorporate enhanced air filtration that goes above and beyond industry standards. This will optimise the amount of outdoor air supplied into the offices, based on occupancy and outdoor air quality. Public spaces in Paya Lebar Quarter will be Wifi-enabled, enabling the office occupants to take their work outdoors too. The offices have incorporated other health and well-being aspects as well. Such as floor-to-ceiling glazing that allow natural daylight in, and wide views of the green public spaces. “Registration for the WELL Certification aligns with our mission to create a healthier, happier, and ultimately more productive workforce and community here at Paya Lebar Quarter,” commented Mr Richard Paine, Managing Director of Paya Lebar Quarter for Lendlease. Lendlease & Delos, pioneer of Wellness Real Estate & founder of the WELL Building Standard, had as far back as in November 2015, announced their tie-up to bring health and wellness innovations to Lendlease’s developments worldwide through adoption of the WELL standard. Lendlease has already adopted the WELL Core & Shell Certification at Barangaroo South Sydney, Sydney’s largest urban renewal project since the 2000 Olympics. Please register here if you would like to be kept posted on Park Place Residences. This entry was posted in Park Place Residences on August 26, 2016 by Reviewer.